When you think of the ultimate Hawaii road trip, places like Waikiki, Pearl Harbor and the Dole Plantation probably come to mind — all of which are on the most-visited island, Oahu. That’s just lazy journalism, which is why I headed to another Hawaiian island with my family. And then, to raise the level of difficulty a little more, I went to the other side of the island. That would be the Hilo side of Hawaii’s Big Island, a place seen by only 10 percent of the visitors to Hawaii’s largest island. A series of drives we made during a month added up to the ultimate Hawaii road trip. They cover the good (friendly people and gorgeous scenery) the bad (Mother Nature having an occasional bad day) and the ugly (a crumbling infrastructure and incessant rains). And you know what? We wouldn’t trade it for the world. Only 1.7 million annual visitors come to the Orchid Island, less than a third of the tourists who come to Oahu, according to officials. That means, for the month we lived in Hilo, we had the place mostly to ourselves — save for a few cruise passengers shopping for souvenirs and then scurrying back on the boat in time for the first dinner seating. Aren Elliott at the Mauna Kea visitors center. Before you land in Hilo, you can see the main attractions from the air — Mauna Kea, with its world-famous observatories and the slopes of Kilauea, the volcano that erupted last spring. There’s more to see, but you’ve just hit the highlights. If you’re driving, you need to know one important thing. There are two well-known speed traps on the Big Island: One on Route 11, which runs parallel to the airport (it’s right after Ken’s Pancake House). The other is on the return trip to Kona from Mauna Kea on Route 200. And that brings us to one of the low points of our Hawaii road trip, getting pulled over for exceeding the speed limit as we drove to Kona. Classic speed trap. Don’t let this happen to you. Route 19, also known as the Mamalahoa Highway, encircles the entire island. But it’s not the most interesting road on the island of Hawaii. No, that would be the Old Mamalahoa Highway, built almost a century ago to connect the villages and sugar plantations. We were lucky to live right off the old highway, where we could explore the one-lane bridges, waterfalls and rocky beaches. Farther north the old highway leads past fruit farms. Starfruit, avocados, and papayas grow abundantly, and if you’re into tropical fruit, nothing is stopping you from picking a handful. The people on this part of Hawaii were extra friendly, perhaps because visitors are relatively rare. It’s not the tourist-town kind of pleasantness — “have a nice day, but leave your money here” — but more of a neighborly niceness that you find in the midwestern United States. If you’re not used to it, you might be taken aback. But from what I could tell, it was the real deal and not a show put on for the visitors. Erysse in Liliʻuokalani Park and Gardens in Hilo. Hilo is a curious place. It comes alive when cruise passengers are in town but then seems to doze off again when they leave. My family loved its no-nonsense character, from the historic buildings to the cafés, gift shops that sell carvings and Hawaiian shirts, and bakeries. If you have kids, check out the Mokupāpapa Discovery Center for Hawaiʻi’s Remote Coral Reefs, a free exhibit that interprets the natural science, culture and history of the Northwestern Hawaiian Islands and surrounding marine environment. 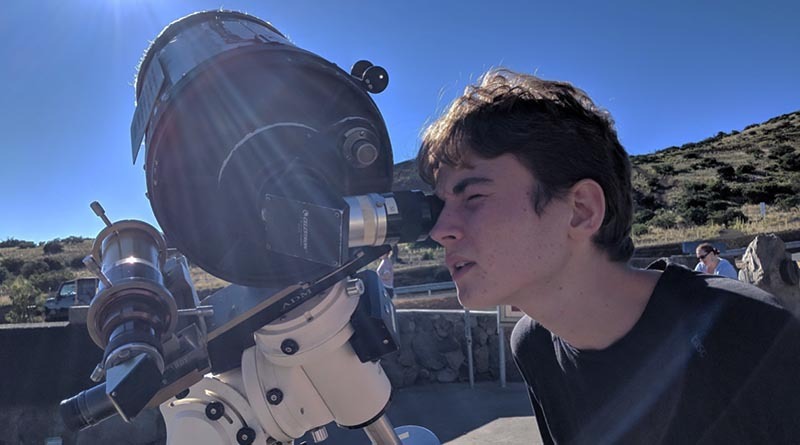 Also worth seeing: The ‘Imiloa Astronomy Center, which offers tours of the Hawaii night sky in its planetarium and exhibits dedicated to Polynesian explorers and their use of the stars to navigate around the Pacific. But this part of the Big Island has a dark side. 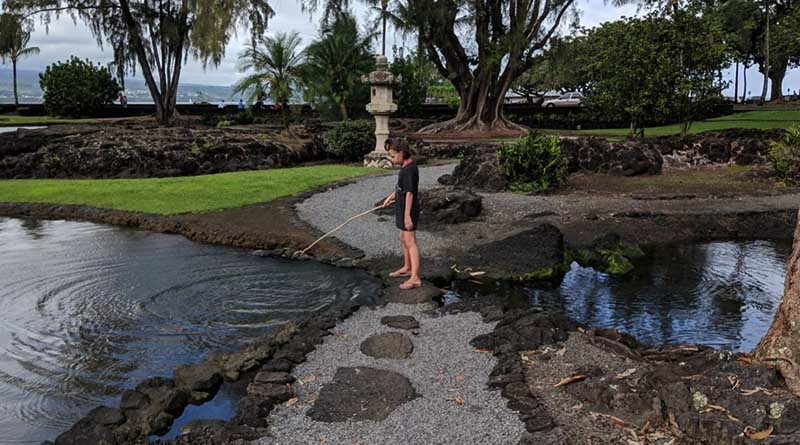 A visit to Liliʻuokalani Park and Gardens in Hilo and the Doomsday Clock are a reminder of the ever-present dangers of nature. Large tidal waves repeatedly ravaged this area in the 20th century, to the point that authorities stopped building homes in Hilo’s low-lying areas. The clock, on the edge of the park, is stuck at 1:04 am. — the moment a 20-foot wave overwhelmed it on the night of night of May 23, 1960. Hazards also lurk elsewhere. Volcanoes National Park had partially reopened when we arrived in Hilo. It’s a 30-mile drive into the mountains, and volcano experts say the area is safe for now. But outside of the Big Island, people are still afraid of having their vacations interrupted by the volcano. Kilauea, with its massive caldera and a history of destructive eruptions, is not something to mess with. OK, for us danger equals excitement — so we will go there. “What if a tsunami happens while we’re here?” asked my 16-year-old, always with one eye to the escape route. We talked about the new early warning systems now in place that will ensure we have plenty of time to escape. And that scientists are carefully monitoring the volcano to make sure we’re don’t end up like the tourists in Pompeii way back when. It rains almost constantly on the northeastern part of Hawaii. In the place where we lived, annual rainfall exceeded 300 inches per year. Big Bog in Maui and Mount Waialeale in Kauai are a little wetter — but it’s enough to scare away the tourists. With good reason. I’ve never experienced such intense weather in my life. On our first night, the storm was so fierce that I thought our small rental would come unmoored and slide into the sea. We spent the next month dodging downpours, not always successfully. What does it feel like to be trapped in one without an umbrella? Turn your shower on lukewarm and then stand under it. In your clothes. As a result, nothing lasts. 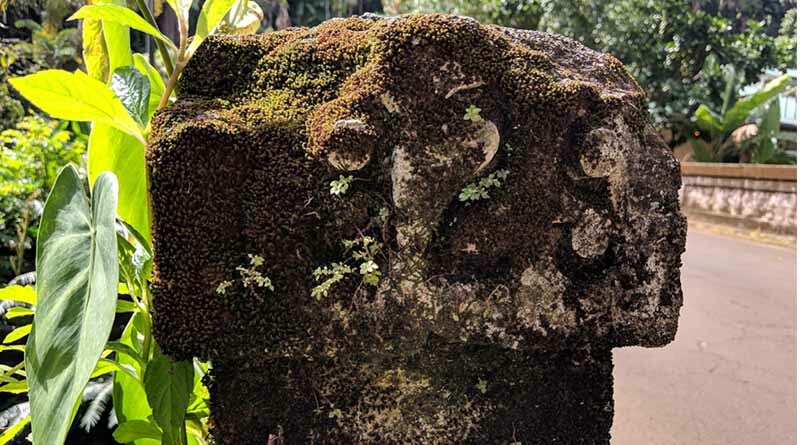 Mold and moss cover everything, and the rains wash away even the best-built bridges and roads. If you explore enough, you will eventually find yourself on a dirt road filled with coconut-sized potholes. The residents make no apologies for their crumbling infrastructure. That’s what happens when you live in one of the wettest places in the United States. I have mixed feelings about the Hilo side of Hawaii. It’s a beautiful place and the people here seem genuinely happy to meet you. It is also a potentially dangerous destination, where nature is an unpredictable force you should never underestimate. No, you probably won’t be swept out to sea by a tsunami and no, your remains won’t be discovered thousands of years from now when they excavate the island. But you will almost certainly get wet — very, very wet.